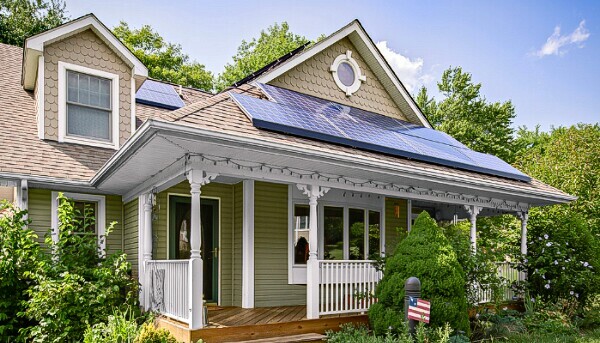 Home Energy Storage	Duke Energy Wins In North Carolina, Homeowners Lose. It is utility dinosaurs like Duke Energy that will be impacted most by the upcoming age of storage batteries for residential use. That era was kicked off in style last week by Tesla during a gala event at company headquarters. Tesla CEO Elon Musk told investors during a conference call with investors yesterday that the company already has 38,000 orders for its PowerWall residential battery after just a few days. Tesla will begin shipping batteries in October. North Carolina does allow for net metering, which allows customers to sell excess power back to the utility company. With home battery storage, a homeowner can store electricity during the day and use it during peak times themselves. Thus, the utilities suffer a loss of revenue and homeowners save money. Duke Energy isn’t going to like that one little bit. North Carolina state representative John Szoka introduced legislation in April that would permit third-party purchase and lease agreements. Szoka, a conservative Republican, was elected in 2012 as an opponent of solar energy but he has since changed his mind. He now says the numbers and facts have him backing cleaner power. This level of adoption and clean energy investment can only be achieved through open dialogue between all stakeholders – utilities, consumers, businesses and clean energy advocates – and as the state’s leading voice on clean energy, The NC Sustainable Energy Association is dedicated to fostering bipartisan support and educating the industry and consumers on the benefits of a clean energy future that is secure, resilient and affordable. The question is, if the bill passes, will Duke Energy’s hand-picked governor sign it? The utility company has been making conciliatory noises about the legislation. Some industry observers think the market for electricity from traditional utility companies may be cut in half over the next decade. Perhaps Duke Energy would prefer to have some of the market rather than none.